The World’s Biggest Bookstore will soon shrink to nothing. 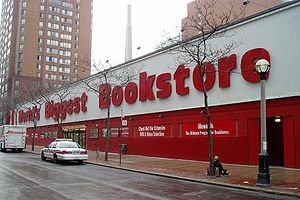 According to the Toronto website Yonge Street, the lease on the iconic downtown bookstore, currently held by Indigo Books and Music, runs out at the end of 2013 and will not be renewed. The 64,000-square-foot former bowling alley has been owned by the Cole family, of Coles Books, since 1980. The family is looking for a single tenant to take over the space, located in a prime area near Yonge and Dundas Square.